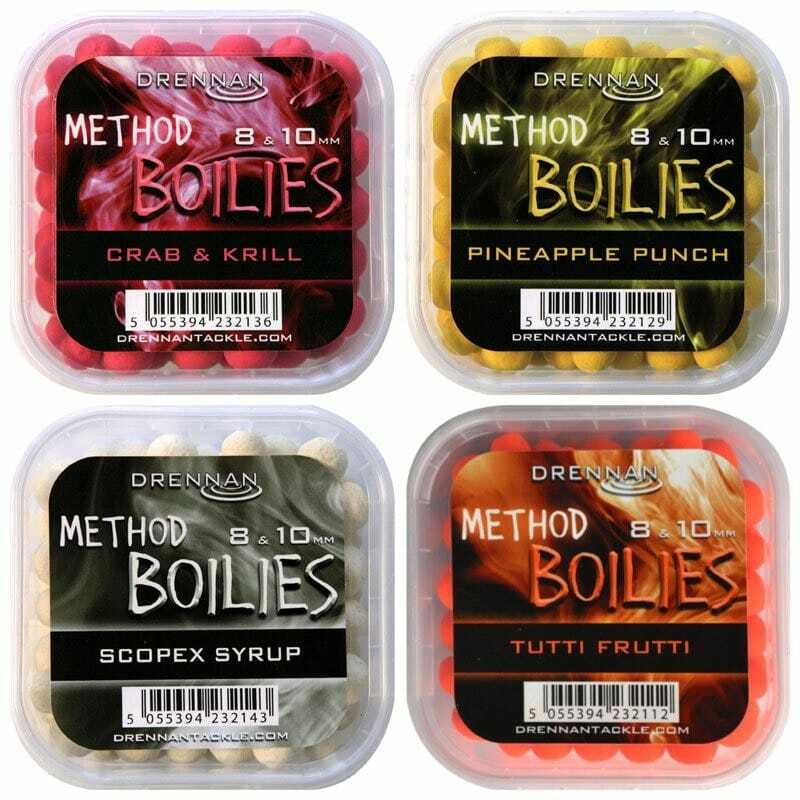 Drennan Method Boilies are avail­able in four highly vis­ible col­ours with proven fla­vour com­bin­a­tions, including white Scopex Syrup, pink Crab & Krill, yellow Pineapple Punch and orange Tutti Frutti. 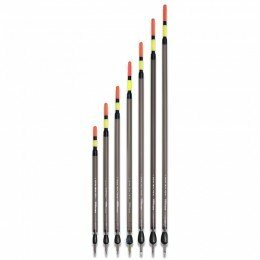 These 'match-sized' boilies are ideal for hair-rigging. 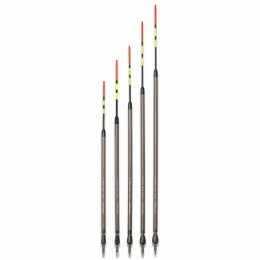 They can be easily drilled to allow a Pushstop to be inserted or a latex band pulled inside with a Drennan Band Puller. 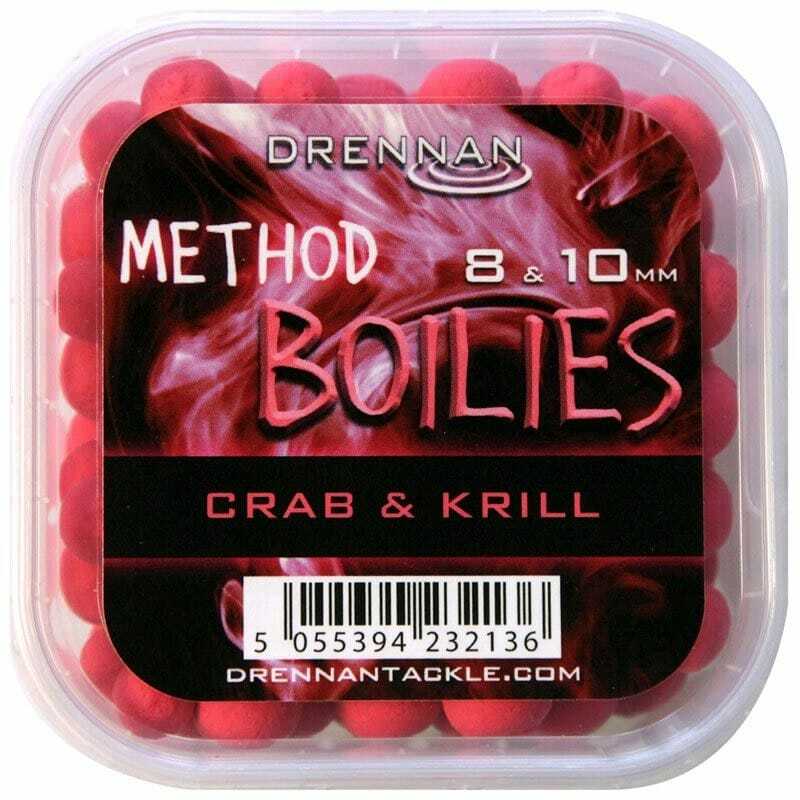 They can also be easily 'pinned' with a boilie spike or bayonet. 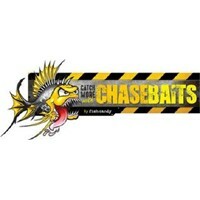 White has to be the one of the most reli­able col­ours for a target hook bait throughout the year. 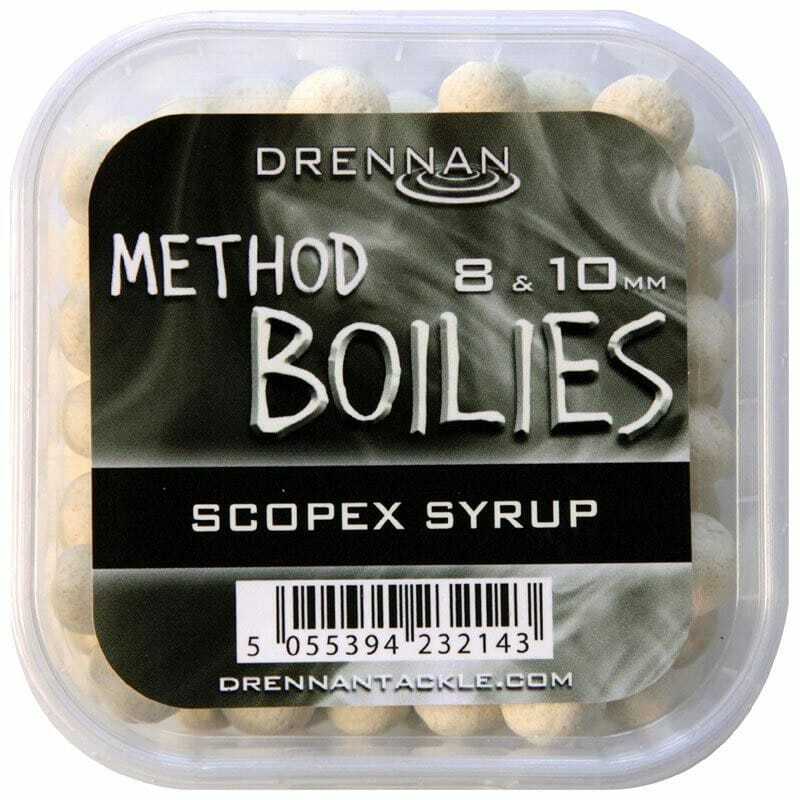 Combined with the unmis­tak­able creamy sweet Scopex Syrup aroma it becomes a mouth-watering option for carp, tench and bream. Bright-pink boilies have really estab­lished them­selves over the last couple of sea­sons. 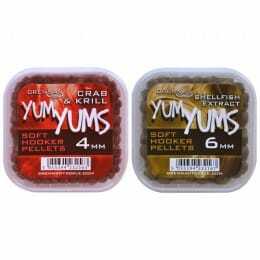 We have added two powerful attract­ants in the shape of Crab & Krill to create a highly potent combination. 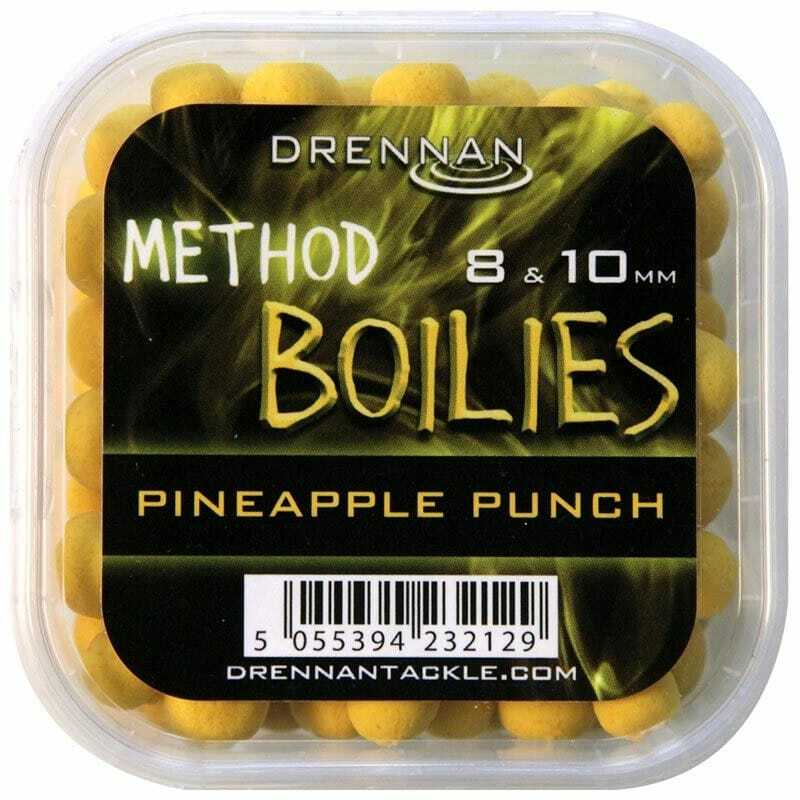 Our yellow Pineapple Punch Boilies are boosted with a fusion of pine­apple and N-Butyric acid. This bitter-sweet recipe is a proven winner on the big-fish scene. We have found it just as effective for fish of all sizes and an espe­cially good choice for tench. Last but by no means least, our vivid orange Boilies are infused with one of the greatest addit­ives of all time. 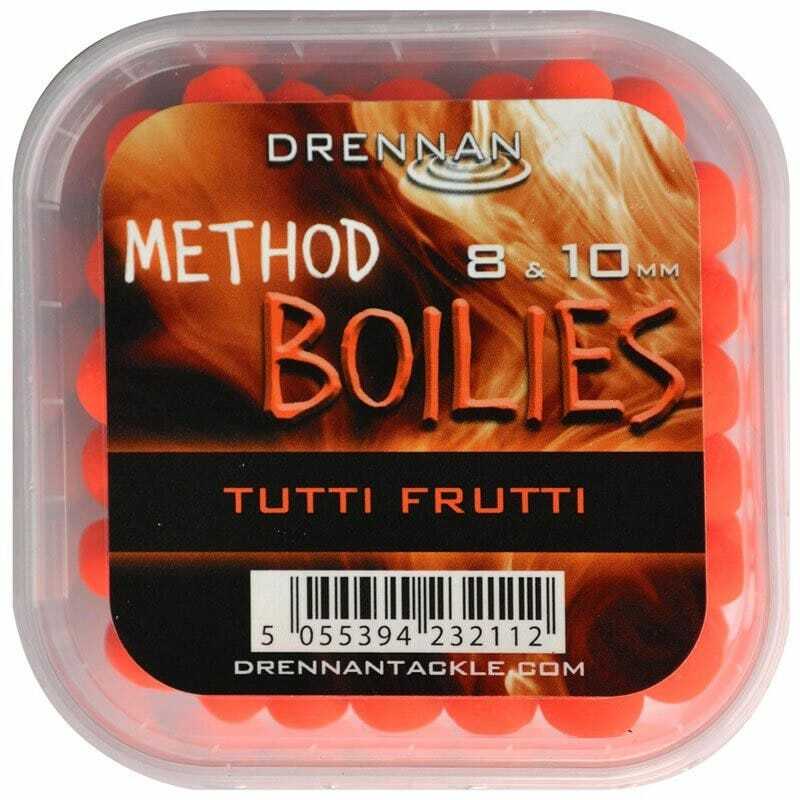 Carp are drawn to our Tutti Frutti Boilies like a magnet and they have already accounted for some really impressive bags of fish. 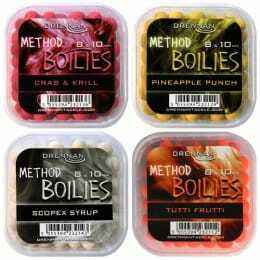 Each tub of Method Boilies con­tains a mix­ture of both 8mm and 10mm sizes.